Nations are beginning to announce their teams for the upcoming World Indoor Championships. Today the US and Canadian teams were announced. We pretty much already knew the US team from this weekend’s national indoor championships; at 48 members it’s the biggest team in the meet. The Canadian team has just nine members. Notable by his absence is high jumper Derek Drouin, who withdrew from the Millrose Games with a hamstring injury. Both countries have been on a roll in big international competition. The US won 29 medals at the 2012 Olympics, one of its best raw totals ever. Canada’s performance at the 2013 Worlds was among its best ever, too. In terms of medals won, the United States’ best indoor Worlds was 2012 when the Yanks won ten golds and eighteen total medals. Canada’s best medal total is three, in 2010. How will these teams do this time around? It’s always hard to tell at an indoor Worlds because many stars skip the indoor season, and some who do compete don’t make a 100% go of it. The US team looks fairly strong across the board (save possibly the horizontal jumps) and brings some new faces, particularly in the 400 and 800. Equaling the ten golds from the last time around is a tall order but there are legitimate medal contenders in about two-thirds of the events. The Canadian team has two very good medal chances in the multi-events with Brianne Theisen-Eaton and Damian Warner. Cam Levins and Nate Brannen will mix it up in the distances but are long shots to medal. I can’t see many others in contention, though; stalwart shot putter Dylan Armstrong is skipping the indoor season and a few other major stars (such as Aaron Brown and Mo Ahmed) are still in college and competing at the NCAAs instead. Why do medal counts matter? On their own they don’t. But national team success means sports media attention on track and field, and in that way they are crucially important. This morning I wrote about the real Albuquerque, not the one you saw on Breaking Bad. Runner’s World’s Morning Report has all of yesterday’s news: Gabe Grunewald’s “really emotional” weekend, questions about why Andrew Bumbalough was disqualified from the men’s 3000, and more. Ken Goe’s daily Oregon track & field rundown has info from Eugene’s weekly TrackTown forum, including the Ducks’ Edward Cheserek‘s intent to double at the NCAA Championships, plus the morning’s news links. RW’s Peter Gambaccini has a Q&A with surprise USA cross country champ Amy Van Alstine about where she’s been and where she’s going. AW’s Jason Henderson writes about Genzebe Dibaba and her stunning series of world indoor records. A look at the dysfunctional world of US pole vaulting. Martin Bingisser writes about how too many US throwers are trying to go it alone. He points to US distance runners banding together and becoming a world force. 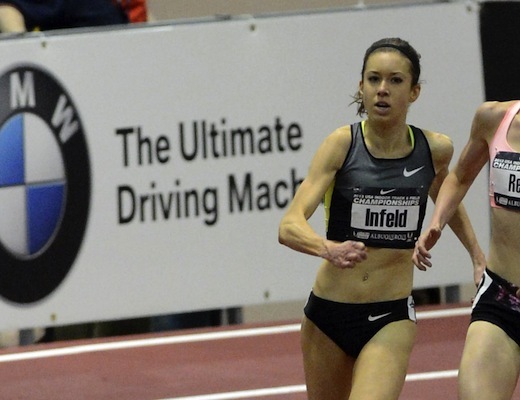 USA Track & Field’s athlete of the week is new US record holder Sharon Day. 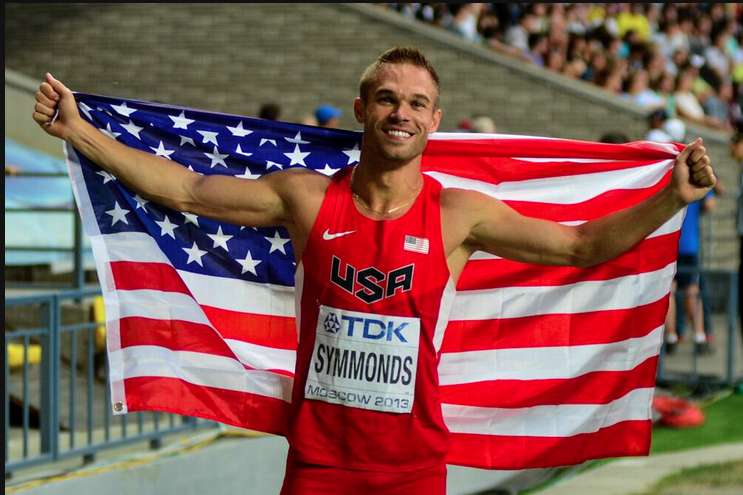 The USA Track & Field Foundation (surprisingly not an arm of USA Track & Field) announced 28 elite athlete grants to help those on the financial fringes. Race announcements: Mo Farah will run the NYC Half Marathon (March 16), Shalane Flanagan and Chris Derrick headline the USA 15km Championships (Jacksonville, March 15). High school news always makes you put the pro squabbles in their proper perspective. Dyestat’s Doug Binder tells us about a girl who overcame a life-threatening surgery last summer to become one of the top throwers in her state.